It safe to say Lola Keeley will always have a bit of my heart. You see last year she wrote hands down the best book of 2018. That story took my damn breath away countless times. 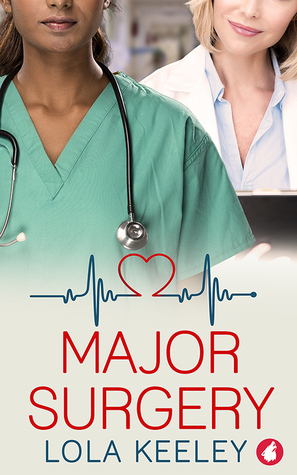 Fighting one hell of a reading slump, I was truly grateful to read her newest novel, Major Surgery. Medical romances, I’m going to flat out tell you, I love them. LOVE THEM! Two hot lady doctors that square off and have tension, heat and intelligent banter, oh yeah, that is just what I am looking for. Add in that one of our docs is a total ice queen. Give me this book! Major Cassie Taylor is a trauma surgeon who has left the service and is applying for a new position as Head of Trauma for St. Sophia’s hospital in London. As skilled as Cassie is at saving lives with quick thinking and great hands she cannot do anything right in the eyes of Veronica Mallick, the head of the Acute Medical Unit. Cassie’s not supposed to be the head of Trauma. Veronica had been grooming another colleague/friend to take that spot for years. The major’s arrival is unexpected to twist to Veronica’s world. To say this woman is a control freak would be an understatement. As much as these two clash, there is still a level of respect and professionalism in their stand-offs. That I appreciated! Veronica and Cassie challenge each other professionally as well as personally and you can see as the story progresses that they relish the banter and the friendship that develops. This story has that slow burn that starts with dislike, eases into friendship and then develops into something more. I thought the two characters were very well written dynamic leading ladies. The story is smart and leans just a bit more of into a drama than an actual romance. It is a very good story. I really loved my time with it. Keeley is definitely one of those authors that you cannot wait to see where they take you next. There are books out there that you love, 5 stars all the way, you read the book, you love it and depending if you are like me you will most likely read them again. There are some books though and these are the truly great ones. You know these books, The Blind Side of Love, How Sweet It Is, and And Playing the Role of Herself. The books that are truly in another realm of greatness. Outstanding books that pull emotion from you, that the story wraps you in a cocoon and all you see and hear is the characters on your page. Those books are the ones when you find them you treasure them forever. I found one! 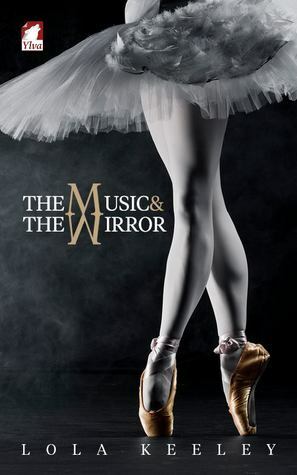 The Music and the Mirror by Lola Keeley isn’t good, it isn’t great, its next level amazing. This book is exceptional in every single way. No flaws, no lags, no character misses. Nope, it is phenomenal. Yes, I used my thesaurus for adjectives. You cannot just say awesome eleventy billion times, come on now. Anna Gale is a new dancer at the Metropolitan Performing Arts Center. She has been a ballet dancer all her life, she lives and breathes it. Coming to New York from Dubuque, Iowa to studying and dance under the greatest ballet dancer of the modern era is her dream come true. Anna embodies this wholesome rock solid nature. She’s one of these really good people that others cannot dislike because she is just a noble person. She cares for others, even when it’s in her best interest not too. She works harder than everyone else without complaint and eager to do so. Ballet literally fuels her soul. Victoria Ford is known as the greatest ballet dancer in modern times. When she danced audiences were captivated by her skill and artistry. An injury to her knee has sidelined her from dancing so now she choreographs and runs the Metropolitan Performing Arts Center. Victoria is not an easy woman to please, she is beyond tough, she expects excellence from everyone around her and when it’s less than that you can expect biting, caustic remarks intended to sting. She is truly the emotionally detached ice queen. This is a dialogue-heavy book, with lots of exchanges between characters. Lola Keeley takes her story and layers it. There is no skipping ahead or fast-forwarding through life moments, hell no. This author takes her time and draws out the story and the tension The sub-plots are done with craftsmanship and skill. She creates supporting characters that are distinct and authentic. The banter between Anna and Victoria, oh the banter, well its legendary and they talk like real honest to god people. The key to real-life characters is nuance. Lola Keeley could teach a class on it because her characters have it and it is glorious. As the reader I thank you. It’s bittersweet when this book ends. This is a story that I adored, absolutely cherished. I miss it already, but know without a doubt will visit many times again. Lola Keeley made true love jump off a page like a ballerina in a Grande Jeté. Her first book by the way. Yeah, WOW and that wow is the understatement of the year.